I suppose I should start this series by saying I (like a few other writers on the site) am mildly obsessed with the Nürburgring Nordschleife. Having read about the track for years, experiencing on GT4 and then finally driving it for the first time last year, it ‘s become a staple of my automotive fascination. And with BMW ‘s historical connection to the track, I thought a look at some of the better ‘Ring related sites out there is in order. One of my favorites is Ausringers.com. It ‘s an Australian based site about every aspect of the ‘Ring. A highly recommended addition to any BMW enthusiast ‘s RSS reader. A great site. Ran into a while back and visit it often. Oh, and we’ll kick of the season on March 1st with a few rounds of the Nordschleife. Feel free to get in touch if you want a ride. You’ll probably hit this one soon. It is one of my favorites and probably one of the most comprehensive. Great sites Philip and Vin, thanks for sharing them. Thank you for the plug Gabe. 🙂 I’ve only had the site up and running for a short time, so it’s nice to see it is being read and enjoyed by others. I agree with vin – Ben Lovejoy’s site is a bible for all things Nordschleife. Good to see you around too Philip. 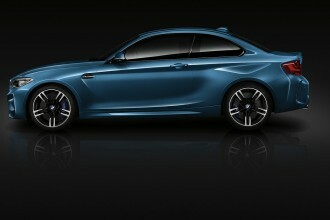 Tomorrow BMW takes the wraps off of the M2 in public for the first time and you can watch right here at 10:05 EST….